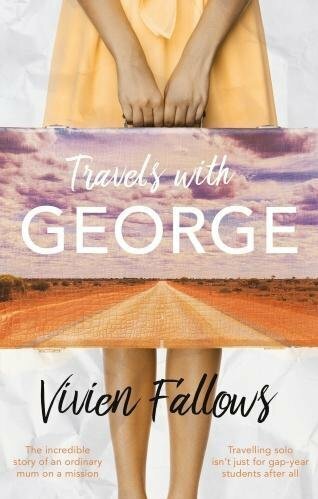 We are pleased to share with you our latest blog which has been written for us by the author Vivian Fallows, whose book – ‘Travels with George’, has recently been published. In 2000, buoyed up by the enthusiastic global welcome given to the new millennium, my son decided that a belated gap year would be a good idea. 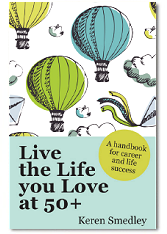 Before I could mumble parental words of pecuniary caution, both he and his girlfriend had quit their jobs to set off on an around-the- world trip. Six months later the back-packing duo arrived in Sydney where, predictably, they ran out of money and, unpredictably, they found work and a base that would become home. To add to my woes, a second teary farewell followed when my daughter moved to Japan to pursue her teaching career. To compound this feeling of maternal loss, the disability charity I had been working for ceased to exist. I was now minus children, minus a job and seriously minus motivation. ‘A trip to Sydney might cheer you up,’ said my ever supportive husband, ‘and keep a diary of your adventures.’ Adventures! That gave my lethargy a welcome jolt. Funded by a piggy bank pension pot, my three week jaunt became seven. 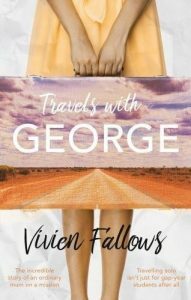 Accompanied by George, my trusty wheelie suitcase, I spent 24 hours in Los Angeles, snorkelled in the Cook Islands, sampled adrenalin-pumping activities in New Zealand and drove on and off the beaten track in Australia. Pushing boundaries, I regained my self-confidence and discovered that solo travelling was not just for gap year students. Eighteen months after my return the Australian outback beckoned once more. Packing a now rather grubby George, I headed off for a further adventure. On both trips, beer and muffins seemed to be the fuel which kept me going as I diligently obeyed my husband’s instruction to ‘keep writing’.